Research by a City University London academic has influenced governments to develop better guidelines for the treatment of detainees, and has helped NGOs campaigning to improve their situations. Immigration detention is a widespread practice in the UK and beyond and thousands of vulnerable individuals are held for long periods without trial or proper access to adequate legal representation. Research undertaken at City University London has contributed to improvements in the treatment of detainees through influencing the legal framework and practices that govern detention. The work has led to courts and governments better respecting the fundamental rights of detainees. By 2011 in the UK, around 27,000 people were being subjected to immigration detention each year, at a cost of Â£130 million. In the same year the USA detained 429,000 immigrants under such powers, at a cost of $1.7 billion. Globally, the practice of detaining immigrants is increasing and because this is largely unregulated government officials have great power to decide on whom to detain and whom to release. Abuses of power are widespread. Dr Daniel Wilsher, a Senior Lecturer at the City Law School, undertook research with the aim of developing legal and ethical standards to regulate immigration detention. He produced a series of academic articles and a book, Immigration detention: law, history, politics. This was the first book-length study to take a global and historical approach to the topic of detention, extensively analysing the historical practices and legal framework surrounding the global expansion of immigration detention. The work highlighted how vulnerable migrants can be and showed that legal systems had found great difficulty in providing appropriate safeguards for immigrants. Dr Wilsher proposed standards to inform policy-makers and key actors in the field to improve the balance between migration control and fundamental rights. Specifically, he argued for the importance of judicial review, time limits on detention and the elimination of detention of vulnerable groups such as children. The UK Supreme Court cited Dr Wilsher's work in a landmark decision which led the UK Government to repeal part of the Anti-terrorism, Crime and Security Act and rethink its counter-terrorism strategy. 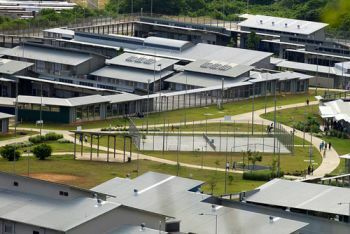 The case has been cited by other judges in, for example, the UK, Australia, New Zealand, Hong Kong and India on over 150 occasions when courts have had to decide upon the appropriate limits for immigration detention. A joint report by HM Inspectorate of Prisons and the Independent Chief Inspector of Borders and Immigration drew extensively on Dr Wilsher's work. He also worked as an expert consultant to the Turkish Ministry of the Interior to assist in drafting their rule-book for immigration detention facilities. Dr Wilsher worked with Bail for Immigration Detainees, the leading UK charity dedicated to policy reform in the field of detention, and the Global Detention Project (GDP) a research and campaigning body which aims to monitor detention globally. He helped GDP to design a framework for assessing and comparing detention centres across countries by reference to legal standards which will help researchers and NGOs worldwide to influence detention policy. Dr Wilsher's work to understand how the law is applied to detained immigrants has made him a global expert in this field. By working with governments and NGOs employed to improve detainees' conditions, his research has the potential to improve the lives of innumerable vulnerable people around the world. Read Immigration Detention: Law, History, Politics by Daniel Wilsher.